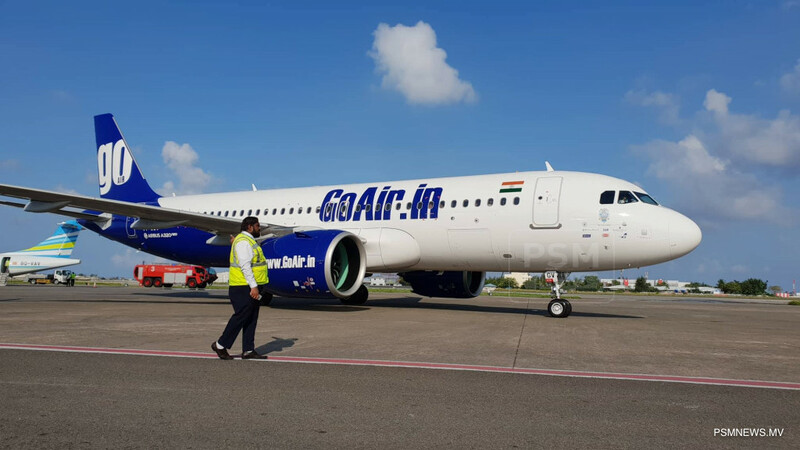 Indian low cost carrier, GoAir has launched its first inaugural flight from Mumbai to Velana International Airport (VIA). GoAir will be operating 7 weekly-flights to Maldives with their A320 aircraft. A warm traditional festivities followed by a water salute welcomed GoAir at VIA. GoAir's inaugural flight was celebrated with an official function held at Maamehi Lounge at VIA. 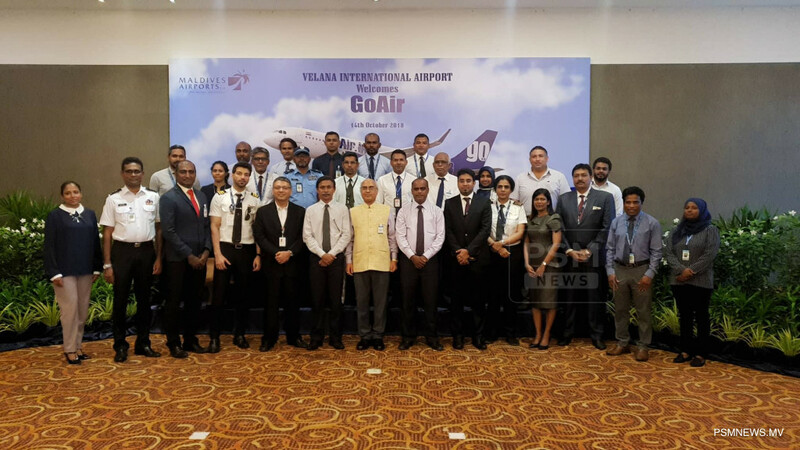 The function was joined by the Chief Executive Officer of Maldives Civil Aviation Authority Hussain Jaleel, Ambassador of India to Maldives Akilesh Mishra, GoAir's Vice President International Operations Arjun Dasgupta and Managing Director of Maldives Airports Company Limited (MACL) Adil Moosa. Both GoAir and MACL staff attended the function along with officials from aviation related institutions. At the function, Managing Director Adil Moosa said he is delighted to have GoAir as VIA's newest partner and he is confident the airline will add value to VIA. Adil also said VIA is on the verge of transforming into a brand new airport and the establishment of the Code F runway is the first major milestone of the project. GoAir will foster travel and trade between the two countries and thanked GoAir for choosing VIA in its route expansion, said Adil. Ambassador of India to Maldives Akilesh Mishra said both countries enjoy close bilateral relations and with the operations of GoAir, it has the potential to have people to people connections from both India and Maldives further strengthening tourism, culture and business ties. Meanwhile, Chief Guest Chief Executive Officer Hussain Jaleel said new airlines operating flights to VIA show the tremendous growth of the Maldivian aviation industry. He noted the one-billion dollar investment by the government of Maldives to transform VIA to a world class airport. GoAir's Vice President International Arjun Dasgupta said the airline will attract more Indian tourists to Maldives as the airline will flow traffic from 3 major cities and further from India. At the function, both GoAir and MACL exchanged corporate gifts and the function was concluded with an official photo shoot and refreshments.